Bali Traditional Tour The Baron dance is performed with a musical instrument called "Gamelan". Barong dance is a lion like mythical, shaggy half dog, half lion creature with a long mane, fantastic fangs, and bulging eyes character fighting between good and evil. 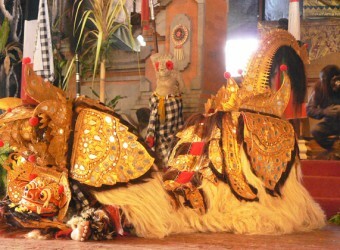 There are many Barong dance stages in Bali.